Translucent Badge Reel | Heart Shaped | Ships Same Day from IDCardSupply! 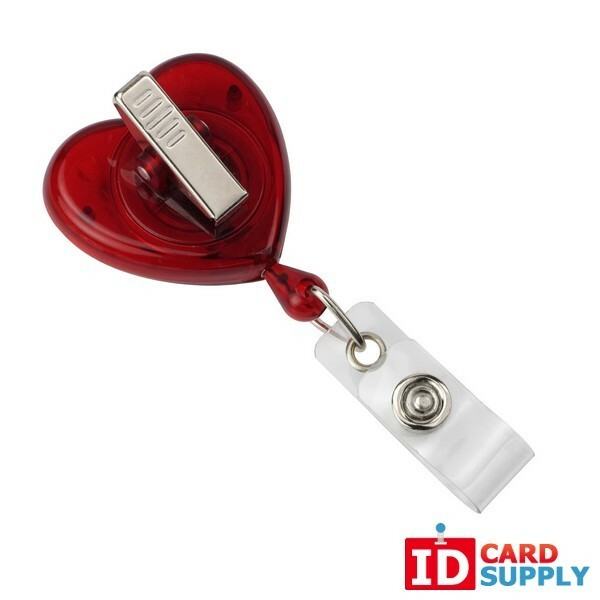 The Red Heart Shaped Badge Reel With Clear Strap is a fun and chic way to display your ID or badge. While you can get these badges individually, we also offer discounts on larger quantities. These are great badge reels for celebrating Valentines Day, Heart Health Awareness, or anyone who wants to add a bit of romance to their uniform. You can add a lot of fun to the workplace with our cute badge reels. This is an affordable way to make wearing ID a lot more pleasant.